The first season of Castle Rock stars Andre Holland, Sissy Spacek, Bill Skarsgard, Melanie Lynskey, Scott Glenn, Jane Levy, and Terry O’Quinn. New episodes premiere every Wednesday. Principal photography has officially started on Disney’s Mulan and we get our first look at Liu Yifei as the title character. The photo shows Yifei looking fierce while wielding a sword ready to strike. Check it out for yourself and let us know what you think. The live-action adaptation of the 1998 animated feature is directed by Niki Caro. It follows the tale of a fearless young woman who masquerades as a man to fight Northern Invaders attacking China. When the Emperor issues a statement that one man per family is required to serve in the Imperial Army, she takes the place of her father Hua Jun to become one of China’s greatest warriors. Yifei is joined by Donnie Yen, Jason Scott Lee, Yoson An, Utkarsh Ambudkar, Ron Yuan, Tzi Ma, Rosalind Chap, Cheng Pei-Pei, Nelson Lee and Chum Ehelepola, with Gong Li and Jet Li. 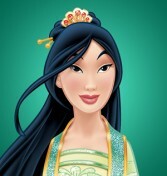 Mulan opens in theaters March 27, 2020. Fox will also develop series based on Diary of a Wimpy Kid, Ice Age, and Night at the Museum with plans to transition its film studio into TV production. 20th Century Fox’s assets are in the middle of being purchased by Disney, which caused some issues for Fox. It’s unclear whether Fox’s film division will be downsized or close its doors by next year. So far, Disney hasn’t addressed keeping Fox as a movie brand. These projects are in the very early stages, so we have little information about them. But the news of another Simpsons movie should be exciting enough to anyone who’s been begging them to do one. It took 11 years, but it looks like we can’t finally stop waiting. Let’s hope that Spider-Pig makes a triumphant return. After the petitions, letters from cast, and massive outcry in Hollywood Disney is sticking with their decision to fire James Gunn. Variety reports Gunn had a meeting with Walt Disney studio chairman Alan Horn about the situation, but it wasn't enough to convince Disney to bring him back on board. 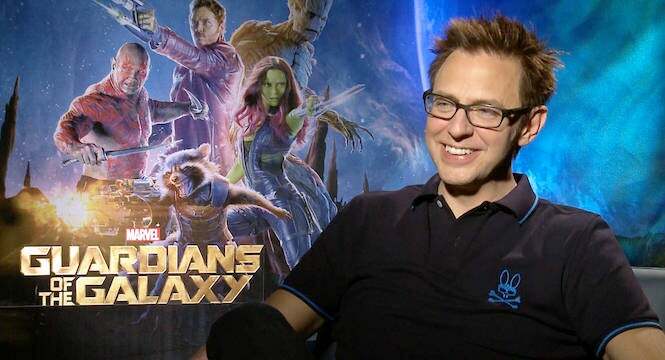 According to sources Marvel president, Kevin Fiege who was out of town at the time, was fighting for Gunn's return, yet he stands by the studio's decision. The studio is currently searching for a new director for the next installment of Guardians of the Galaxy. It's unknown whether the shift in directors will affect the production schedule, which is expected to start in 2019. Sources say Disney intends to use Gunn's script for the film. The Nun is the highly anticipated spin-off of The Conjuring 2 and it’s been getting a lot of hype. Last week, a trailer was released for the film and it was so shocking, YouTube has decided to ban in. The six-second clip starts with a volume control icon freaking out followed by the startling appearance by the titular Nun. One user warned about the startling jumpscare and advised viewers to turn down the volume “if you have anxiety or just straight up hate jumpscares.” YouTube responded thanking the user for bringing the trailer to their attention. They later removed it trailer for violating its “violent and shocking content” policy. Director Corin hardy responded to the ban on Facebook saying “Awww maaannnnn… And we were having so much fun.” Of course, this being the internet, you can still watch the ad on other video sites. The Nun is the latest spin-off from the Conjuring movies. Set in early 50s Romania, the film is about the origins of an inhuman spirit known as Valak, that first made an appearance during The Conjuring 2. The movie stars Demian Bichir, Taissa Farmiga, and Jonas Bloquet. The Nun opens in theaters September 7.